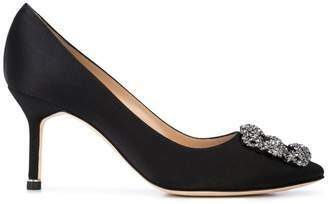 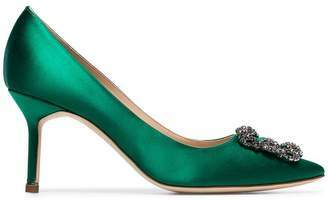 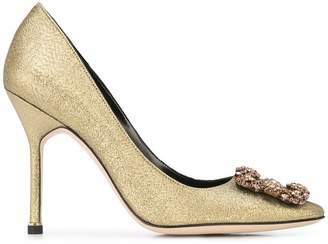 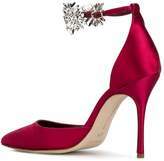 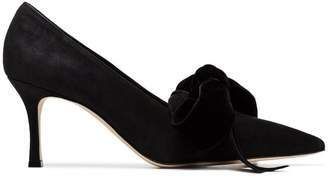 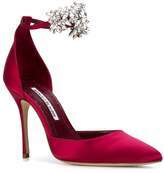 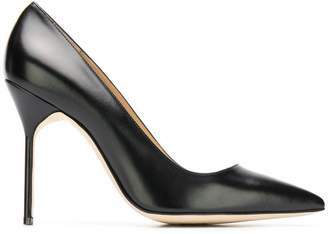 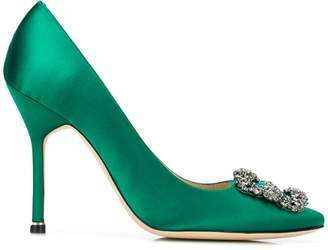 Manolo Blahnik introduces their signature glamour to a classic court shoe silhouette with these 'Sicariata' pumps. 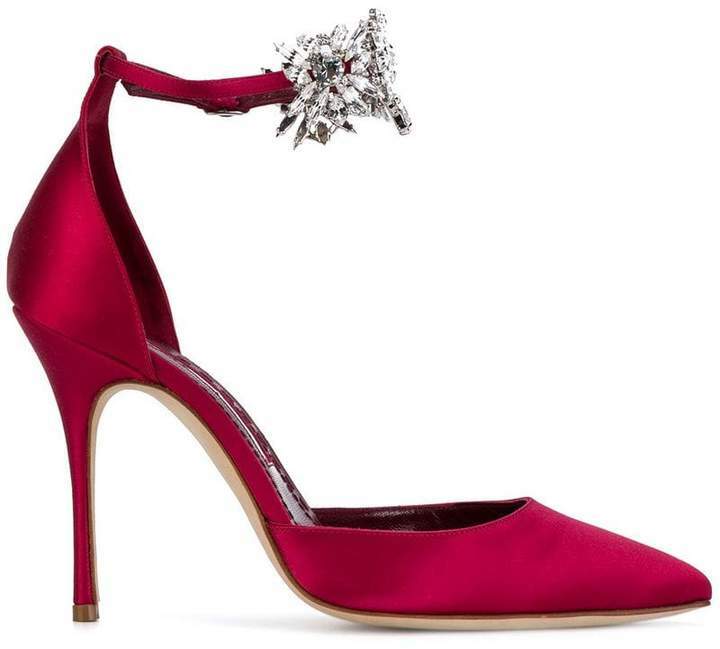 The event-ready pair has been fabricated from sleek red silk-satin, boasting a high stiletto heel, a low vamp and an elegant pointed toe. 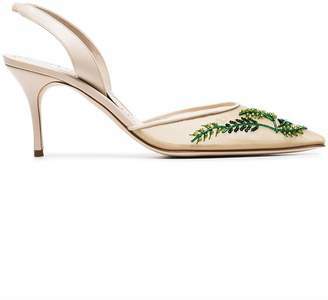 The thin ankle strap is punctuated with the Spanish designer's iconic white crystal floral embellishments, elevating these opulent Manolo Blahniks to must-have status.